I was running a mastermind session recently and asked everyone in the room the following question: “Is it difficult to recruit top performing people at the moment?” Within seconds a lively discussion took place. It seems that everyone was having trouble attracting, retaining and motivating staff. One of my favourite coaching clients briefed us on some of the issues she was facing associated with the recruitment of top performing civil and structural engineers. Apparently, in the past she viewed recruitment as merely an ‘EVENT’. For example, someone handed in their notice or a senior appointment was being made from the internal team, which meant that another person needed to be recruited into the business. This approach became recognised as poor practice, because it puts a lot of stress into the system, took up a lot of senior management time and effort and dramatically increased risk. So, she started to view ‘recruitment’ as a ‘PROCESS’. Her firm no longer treats recruiting as an event, instead they now think of it as a process, where the firm is building a pipeline of potential candidates of a relevant standard. So, they put structures, activities and relationships in place that allowed them to develop their networks and their pipeline. They began to plant seeds that could be harvested down the road. 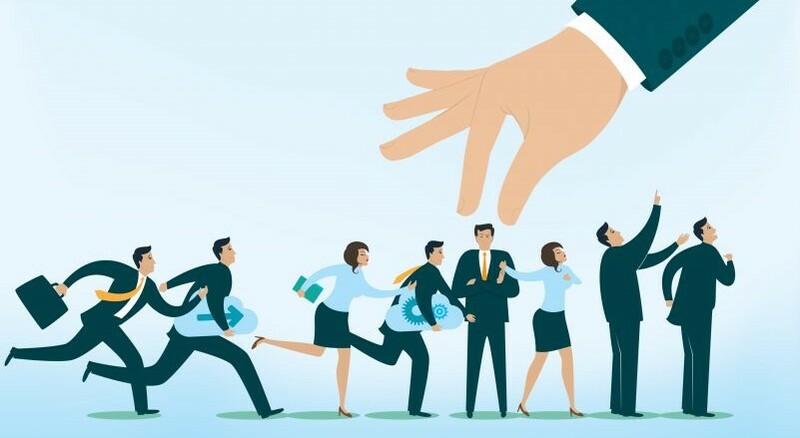 They built relationships with relevant organisations, influencers and potential candidates, so that when the time came candidates are more inclined to want to join their firm. Attend networking meetings and conferences. Connect with schools, colleges and universities. Engage with trade associations and professional institutes. Promote opportunities via your website. Focus on the local ecosystem to know your local priorities, and target resources accordingly. Provide encounters: e.g. open days, project visits, work experiences and discovery days etc. Commit senior resources: involvement of CEOs and senior managers adds credibility and weight. Use free tools: for example, ‘Google Digital Garage’ provides free training and coaching on a range of digital skills and online tools. As well as mentoring the younger team members, flip this around so that these individuals share their digital know-how. Provide access to training, coaching and digital learning. This is particularly important when the economy is strong and suitable candidates are in short supply. So, if you are competing for candidates against other bigger, better resourced firms than you, it’s difficult to attract quality candidates. This is the key differentiator. When potential candidates believe in the same things, share the similar standards and values and are attracted to the culture of the business, this means they will be able to go to work every day believing that this is important work. Do you remember this: in 2011, Steve Jobs of Apple fame, said to Pepsi executive John Sculley: “Do you want to sell sugar water for the rest of your life, or do you want to come with me and change the world?” Steve was talking about a shared vision, values and standards! Company values, culture and vision are seen by potential candidates as being very important! Demonstrate that the business can deliver on a realistic path of career development. If candidates can see that the firm is willing to help them to grow and develop their skills, it enables candidates to take the opportunity more seriously than they otherwise might have. Investing in people to take them to the next level is a smart business strategy. Having a competitive compensation plan or equity component capability can help significantly to attract the very top candidates. Arguably, the best candidates and top performers are not looking for a job right now. They are passive i.e. they are happy to ‘crush it’ for one of your competitors. So financial considerations might be the key driver for some candidates. So, what is the big takeaway here? Smart: i.e. clever, bright, intelligent, shrewd, astute etc. Intrinsically motivated: innately motivated to deal with every challenge. Coachable: open, willing to learn, develop and grow. So, if you’re currently struggling with recruitment and retention challenges and you think you need some help and support, I have some good news for you. Our next CLC BizBoard programme starts in January 2019. If you apply and are accepted onto it, we will support you with concepts, strategies and systems that will help you to overcome all your business challenges, including recruitment, so that you can achieve all your business and personal goals. Would you like to hear more about it, without obligation? Then ring Terry on 077 364 174 64 for more information.